EURO chat: The EURO panelists: @davidpbaker @JASteel @filmutopia and @ArminKraft filling in for @eumagine. 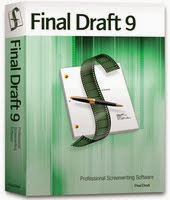 8:01 pm DreamsGrafter: It's a free for all on #scriptchat. Let's discuss the indie world of filmmaking and what screenwriters should be learning from it. 8:01 pm yeah_write: I'll be tweeting in Euro #scriptchat for the next hour, so ignore tweets in not interested. 8:07 pm filmutopia: #scriptchat Julian, no offense mate, but there are three people on the panel. You had your night to hand out advice. Got any questions? 8:12 pm davidpbaker: #scriptchat Today a lot of people write, make films because THEY CAN. And thats the wrong reason really. 8:13 pm carter_andrewj: @julianfriedmann #scriptchat These days, the indie market has more ready access to both income and promotion thanks to the internet. 8:14 pm videoguerrillas: RT @davidpbaker: #scriptchat Today a lot of people write, make films because THEY CAN. And thats the wrong reason really. 8:20 pm filmutopia: @jeannevb #scriptchat Yes... I wish I'd never taken a deferred payment contract on scripts with indie producers. I'd never do that now. 8:21 pm filmutopia: @JASteel #scriptchat - Yes, this is where most indie producers fail - they don't undnerstand the needs of distribution "field of dreams"
8:24 pm davidpbaker: #scriptchat clive agree about made out of frustration but thats the apprenticeship too. "development" is also VERY frustrating. Yeah? 8:27 pm TheJudalina: I LOVE #scriptchat . Wish I was around more often to check it out. 8:36 pm yeah_write: @diablocody Got any advice for our indie panel chat on #scriptchat? 8:36 pm carter_andrewj: @julianfriedmann @bang2write #scriptchat Or perhaps it's the upshot from so much cliche in the mainstream? 8:38 pm davidpbaker: #scriptchat I agree great scripts attract great production teams. 8:39 pm Timsn: RT @JflipWilliams: Writers can be intimidated. I feel like that here #scriptchat My sentiments exactly. Lurk and learn! 8:42 pm carter_andrewj: @Bang2write #scriptchat Ouch. Mistakes even more basic than I feared. Any chance of a for-instance? 8:44 pm JLichtenberg: #scriptchat one thing about twitter - trains you to catch wordy constructions B4 SEND! 8:45 pm JLichtenberg: RT @filmutopia: #scriptchat - writers, if an indie want to use your script ask to see their showreel, ask about their business plan..
8:45 pm elaineewing: YES! @JLichtenberg #scriptchat one thing about twitter - trains you to catch wordy constructions B4 SEND! 8:46 pm JLichtenberg: RT @davidpbaker: #scriptchat I agree great scripts attract great production teams. 8:53 pm davidpbaker: #scriptchat I'm sorry, I am from the old school of not over anazlizing what works, that kills it!! We all want a way FAST. DO what you love! 8:54 pm Timsn: RT @davidpbaker: #scriptchat I'm sorry, I am from the old school of not over anazlizing what works, that kills it!! We all want a way FAST. DO what you love! 9:00 pm DreamsGrafter: Thank you SO much @davidpbaker @filmutopia and @JASteel for taking time out for tonight's #scriptchat. Great great pieces of advice. 9:02 pm KageyNYC: Thanks! 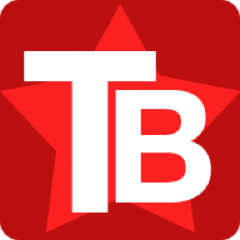 RT @DreamsGrafter: Thank you SO much @davidpbaker @filmutopia & @JASteel for taking time out for #scriptchat. Great great advice. 9:04 pm Timsn: Expert advice here:) #scriptchat Thanks! 9:10 pm davidpbaker: #scriptchat THanks for invite but my route to what I want to do is not the best advice. Leave that to others to advice. Thanks. 9:11 pm davidpbaker: #scriptchat Listen to your COLLABORATORS 100% and develop your individual voice, route to market. 9:12 pm zacsanford: At tonight's #scriptchat Indie panel, please form questions as "PANEL question" for whole panel or "@panelist question" for individual. 9:12 pm DreamsGrafter: THANKS David. You were v. helpful. RT @davidpbaker #scriptchat Thanks for invite but my route to what I want to do is not the best advice. .
9:13 pm DreamsGrafter: RT @zacsanford: At tonight's #scriptchat Indie panel, please form questions as "PANEL question" for whole panel or "@panelist question" for individual. 9:14 pm DreamsGrafter: RT @davidpbaker: #scriptchat Listen to your COLLABORATORS 100% and develop your individual voice, route to market. 9:15 pm yeah_write: There aren't too many things I look forward to as much as #scriptchat or maybe checks that come in the mail. 1:00 am jmiewald: Do we have #scriptchat tonight? 1:04 am philontilt: Kids are tucked in & kissed goodnight. Let the #scriptchat madness begin! 1:05 am kingisafink: #scriptchat Indie movie making was always part of our plan. Started for fun, now we're trying to expand it into a career. 1:05 am clumsymonster: Going to eavesdrop on #scriptchat rather than actually working any more on my script. 1:05 am SarahAiglen: H'lo all. This is my 1st #scriptchat. Looking forward to it. 1:06 am writelikecody: Joining #scriptchat. 1:07 am kingisafink: It's gonna be a good one! RT @SarahAiglen H'lo all. This is my 1st #scriptchat. Looking forward to it. 1:11 am kingisafink: @KageyNYC #scriptchat No formal training for Kfink. We've figured it out on our own. Jess also teaches film: great knowledge base. 1:13 am kingisafink: @ClaireLWasmund #scriptchat re: getting a reel together - could be a great "swap" between you and a film student. 1:13 am kingisafink: @ClaireLWasmund #scriptchat Check out @JPtwit's site. Has a teaser trailer for an unproduced script. Very effective. 1:15 am kingisafink: @jeannevb what's 1st advice u'd give a writer whose considering going indie? #scriptchat - - -> just do it. Get a camera. Produce it yrslf. 1:18 am kingisafink: @chipstreet gut vs trends? go w gut every time. write story u want 2 see. #scriptchat - - -> And get feedback from people you trust. 1:20 am writelikecody: RT @dawnbierschwal indy to me means non traditional financing which usually allows greater creativity #scriptchat (via @stoner43). 1:21 am rachlanger: Hola #scriptchat and valued PANELists. Listening in. 1:23 am kingisafink: @GetStuck TOTALLY someday! #scriptchat Aim big, Jerry! 1:24 am scriptdreric: Interested in making an indie film? Check out #scriptchat right now! 1:24 am zacsanford: Great chat going on re: Indie Filmmaking at #scriptchat right now. Follow the hash! 1:24 am writelikecody: RT @scriptdreric Interested in making an indie film? 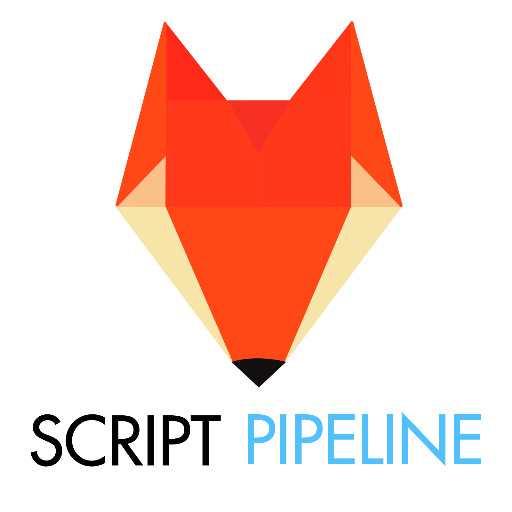 Check out #scriptchat right now! 1:25 am James_Dean86: RT @scriptdreric: Interested in making an indie film? Check out #scriptchat right now! 1:26 am kingisafink: @jameskick #scriptchat GREAT question! 1:27 am SeanNCullen: What have I missed so far in #scriptchat? 1:30 am TravisLegge: @kingisafink @zacsanford2 #scriptchat wise advice. Chances are good you ain't Robert Rodriguez. Don't try to fly solo. 1:32 am pulptone: Watching the closing ceremonies of the #olympics as I sit in on #scriptchat Nice that they're bringing up the fourth torch. 1:33 am kingisafink: @markezrastokes #scriptchat Great sitcom fodder. Looking 2 sell life rights? - - -> We're the Lavergne & Shirley of writing. On sale now. 1:34 am Chuklz: #scriptchat Having volunteered for a quite a few festivals lately, the shorts programs are ALWAYS sold out. So you have to know your goals. 1:35 am nataliamartire: #scriptchat I love script about robbing banks! I always get out from the teather willing to rob one *-* I love inside man!! 1:35 am writelikecody: Getting cross eyed. I'm on the line of those looking forward to the transcript ;-) #scriptchat. 1:37 am kingisafink: @jeannevb and I have 2 guest rooms :) We're 5 min from festival #scriptchat - - - > We call the futon! 1:41 am kingisafink: @jameskick #scriptchat Can you elaborate on how THE CAR WASH lead to funds? 1:42 am TravisLegge: Should be in the shower, instead doing #scriptchat ...one more smoke then i'm gone. 1:45 am kingisafink: @jameskick #scriptchat LOVE that. THE CAR WASH is a quality film. Not a surprise. 1:47 am jameskick: Thanks! http://bitly.com/TheCarWash RT @kingisafink @jameskick #scriptchat LOVE that. THE CAR WASH is a quality film. Not a surprise. 1:51 am zacsanford: Someone is BBQing outside my apartment. Yum... but must finish up #scriptchat first. Amazing stuff. Read the transcript if you missed it! 1:52 am SarahAiglen: Thanks for an exhillirating and super fast-paced #scriptchat. Looking forward to the transcript! 1:53 am mrbarnard1: #scriptchat Damn, I'm making typos like crazy today. DON'T DO THAT IN A SCRIPT! 1:55 am typogami: RT @SeanPMeehan Chip & I have gotten a lot of feedback regarding R typo free scripts. It pays off 2 B careful. #scriptchat jsut smile! 1:56 am Chuklz: Not to be contrary about perfect scripts but- http://bit.ly/ncbEZ #scriptchat Wheres my Unicorn & Kraken? 2:00 am jameskick: Good grief, this #scriptchat is very quick. I had a blast, plan to come back in the future! 2:02 am kingisafink: #scriptchat Thanks @jeannevb - Had a lot of fun and now we're exhausted. Time for a nap.